Bismoline Medicated Powder from HealthyKin.com is formulated to coat your skin with a protective film that aids in the prevention and relief of minor skin irritations. It works equally well on adults and babies. With its truly unique ingredients, Bismoline has been soothing and comforting tender skin for over 100 years... at a price everyone can afford. I was introduced to Bismoline Medicated Powder while in the hospital for awhile to help with a continuing rash. When I ran out of the product, I had to find more! It helps keep problem areas dry all day, with a nice clean scent. My experience with Healthy Kin delivering the product was perfect. Thank you Healthy Kin! 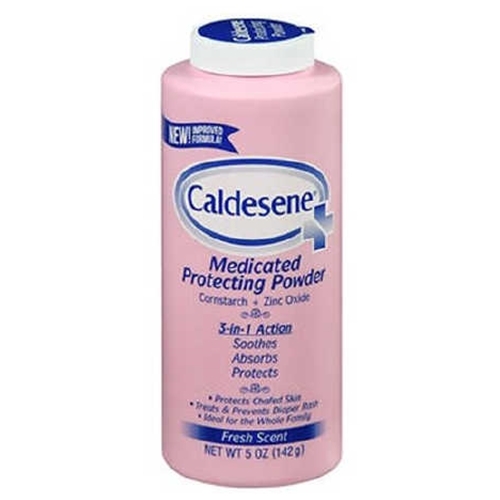 Best powder for summer chafing. You know the saying "Older and Wiser"? Well, this older product is the wiser choice! It's been around for a very long time and both my husband and I are grateful it's still available. My husband is allergic to deodorants, so when I bought Bismoline for a problem I was having and he started using it as a deodorant everyone was grateful! Oh and ladies, it's great for keeping that area under the baby fat overhang dry and comfortable. Healthy Kin has the best price on the web, it was fast and easy to order and their delivery was quick. Thanks for carrying this hard to find product. Works great! Relieves itching better than Gold Bond medicated powder. Have used this product for years, it is the best. This is the best medicated powder on the market. It heals and keeps rashes away. I even use it on my basset hound. Like product a lot. Feels fresh and clean with gentle fragrance.